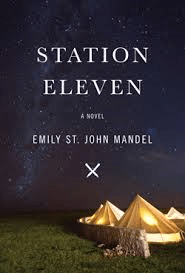 Let’s discuss our book club book, Station Eleven, throughout August! As this book was our May/June book, and I finished it in July, it may be an indication of the effect this book had on me. I struggled to get completely hooked by it, which was disappointing because I did have high hopes for it. I think it was a great storyline. It may have been a post-apocalyptic type book, but I felt it was a relatable one. It was told in a way that could be perceived as possible, and therefore made you think about many things in life that we currently take for granted. The author was successful in her goal of making me re-evaluate our society’s lifestyle, how easily it could disappear, and how much we rely on each other for the world to continue to tick. However, I found I got lost a little at times. I think this was contributed to by the fact I listened to this on audiobook, and therefore did not have chapters and page breaks to indicate a change in time. Also, because I wasn’t hooked, I kept leaving it, and then coming back to it sometime later. There was a lot of jumping back and forward, at times only for brief periods, and I found that I didn’t get completely immersed into the story because I was trying to figure out where we were up to. I enjoyed the writing style. I thought there was a great use of lovely metaphors and similes in particular. It was also interesting to see the story from several points of view. I thought it was clever how something mentioned at one point, eventually linked up with something further on. Overall, I did enjoy this story, but it did not hold my attention in the way I had hoped. Maybe this was due to the sober mood, I am not sure, but I did find it interesting. What were your thoughts about this book? Did you read it, or listen to it? Who were your favourite characters? Did this story make you think about your life? I would love to hear how you found this book. Start discussing over at our bookclub site, here. Hello! My name is Gem. I am a writing student, book lover and spoonie. On this blog I share my thoughts on books and writing, my recipes, and other musings. I hope that you enjoy looking around! My family has a tradition on Christmas Day morning of having smoked salmon and scrambled eggs (which I don’t eat anymore) with fresh orange juice and champagne, followed by pastries and fruit. So good! So this year I made pastries so that I could have gluten free versions. I used GF/DF puff pastry (still on the look for one that isn’t dry), spread on jam, sprinkled cinnamon and blueberries and then rolled it up and put a little dairy free butter on the outside and popped it in the oven! Definitely best fresh. They were yum and very easy. ‘Can I please help you with your afternoon activities? I know a lot about dogs in the nighttime, and I’m more than willing to learn about veggie lasagne....’ I’ve been wanting to read this book for years. I have to read it this week for uni, so that works out well! I’m not loving it as much as I’d hoped but I can definitely see why it holds such an important place in inclusive literature. Have you read it? What are your thoughts? Or is it on your TBR? The poetry collection, “Bone”, by Yrsa Daley-Ward is striking. It covers a wide range of topics, from abuse to love to exclusion and more, all of which draw on the author’s own experiences. It made me gasp, cringe, and feel sadness and hope, and pulled my awareness to so many situations I had not previously thought about. 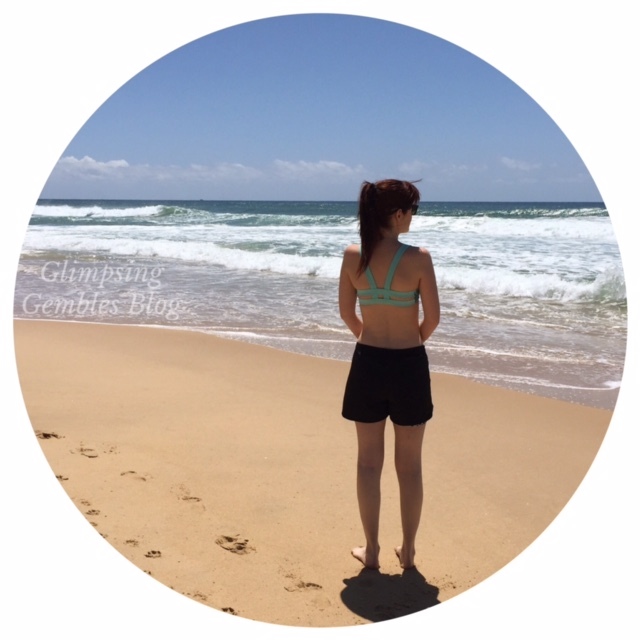 I have written more of my thoughts in a post so jump on my blog if you want to check it out! Fancy something gooey and decadent but reasonably healthy?! Give these chocolate brownies a go! I’ve been craving brownies lately so I came up with a recipe that is #glutenfree #dairyfree #eggfree #lowfodmap #fructosefriendly #plantbased #vegan (even if you don’t have food restrictions I think you’ll enjoy these...my family certainly did!) I hope you enjoy these ones - let me know if you think you’ll try them! Happy Easter everyone! I hope that you are having a lovely long weekend with family and friends. If you’re looking for a yummy treat (especially if you’re like me with lots of food intolerances that keep you from the eggs the Easter Bunny typically brings ), then check out the new recipe up on my blog for a chocolate caramel slice! It’s decadent and gooey (be sure to keep napkins in reach!)! Share book reviews and ratings with Gem (Glimpsing Gembles Blog), and even join a book club on Goodreads.